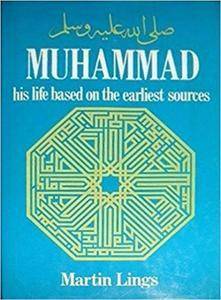 Martin Lings, "Muhammad: His Life Based on the Earliest Sources"
Muhammad: His Life Based on the Earliest Sources is an award-winning 1983 biography of the Islamic prophet Muhammad by Martin Lings. The book provides a new account of the sira or the life of Muhammad, with details that had not been elaborated in other accounts. It is based primarily on old Arab sources that go back to the 8th century, of which some passages are translated for the first time. It is not contradictory to other accounts but rather offers new insights and new details. The book also includes excerpts from original English translations of speeches by men and women who lived close to Muhammad, heard him speak, witnessed his actions, witnessed the way he interacted with situations and witnessed events he encountered throughout various stages of his life. 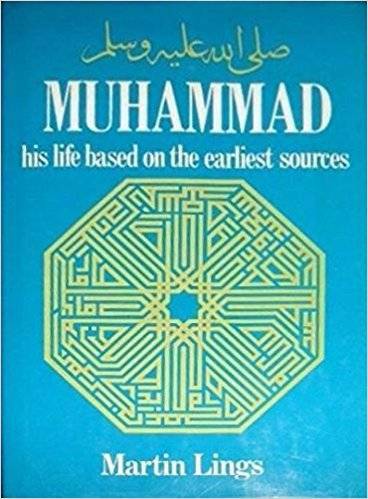 Scrupulous and exhaustive in its fidelity to its sources, Muhammad: His Life Based on the Earliest Sources is presented in a narrative style that is easily comprehensible, yet authentic and inspiring in its use of language, reflecting both the simplicity and grandeur of the story it tells. The book has been published in 12 languages and has received numerous awards, including acknowledgment as best biography of the prophet in English at the National Seerat Conference in Islamabad.